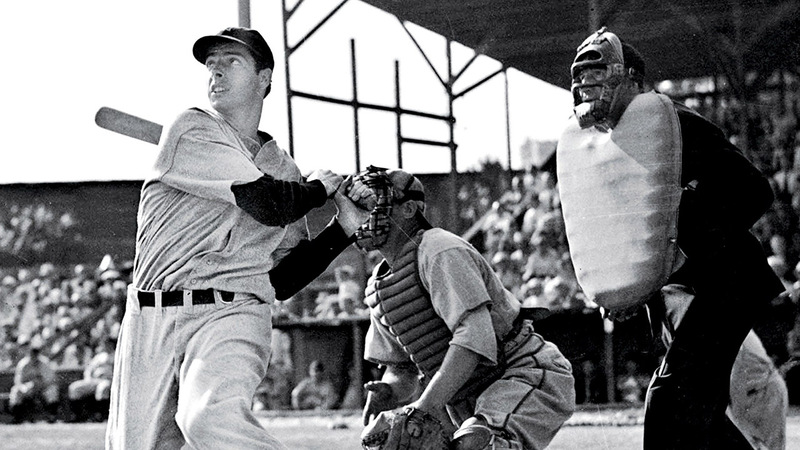 Joe DiMaggio reminds us that baseball is full of feats that are unlikely to be broken. Think about how difficult it'll be for a hitter to surpass his hitting streak. Meanwhile, Hack Wilson's 191 RBI season has stood as a record since 1930, while Albert Belle became the first (and only) player to collect 50 doubles and 50 home runs in a season when he did so in 1995. And yet, those are reachable. The same can be said for the 59 consecutive scoreless innings Orel Hershiser tossed from August 1988 to April 1989, and Ichiro Suzuki's 262 hits in 2004. Ted Williams hit .406 in 1941, making him the last player to reach the .400 mark for a full season. Rogers Hornsby posted a .424 batting average in 1924, which was the highest mark for anyone since the turn of the 20th Century. Both are likely out of reach, but you never know. Baseball went through an explosion of home runs in the steroid era that rewrote the record books and changed the way the game was played for a decade, so it's possible some other phenomenon could attack batting averages in the future. Don Larsen's perfect game in the World Series will probably never be touched, though it's theoretically possible that a pitcher could toss two perfect games in a single Fall Classic. After all, there have been back-to-back no-hitters before. While all these records may possibly be matched or surpassed some day, there are at least 27 MLB records that will never be broken. Just because it’s the most recently set record on our list doesn’t mean it’s a breakable one. When Mariano Rivera retired in 2013 he did so with a record 652 saves, which is 51 more than second place Trevor Hoffman and a full 174 ahead of No. 3 Lee Smith. In fact, only two other pitchers (John Franco and Billy Wagner) have yet to notch more than 400 saves in a career. Yes, the closer’s role is quite new by baseball standards, and it has changed since Lee Smith and John Franco were pitching. Roughly 99 times out of 100, closers no longer go more than one inning. And because complete games are an endangered species, closers are used now more than ever. However, the active leader in saves is Joe Nathan with 377. Nathan, who is 40 years old, is also on the 60-day disabled list and out for the rest of 2015 because of his second career Tommy John surgery, so he’s no threat to Rivera’s record. Francisco Rodriguez (356), Jonathan Papelbon (335) and Huston Street (287) also have a lot of work to do if they want to challenge Mo. The closer with the most realistic shot to break the record is Craig Kimbrel, who has 196 saves in only six seasons. At age 27, Kimbrel will need to average 28.5 saves per season until the age of 43 (when Rivera retired) to break the record. While it seems doable, with injuries, control issues, loss of velocity and/or overall loss of effectiveness seemingly around every corner (not to mention the volatile nature of closers), it’s going to take a legendary streak of stability. You know, like Mariano Rivera had from 1997 to 2013. In other words, don’t count on it. When Fernando Tatis made his Major League debut with the Texas Rangers on July 26, 1997, he became the 14,718th player in big league history. Two years later, the number had ballooned to more than 15,000. Prior to his arrival, no player had ever hit two grand slams in one inning, and since he took Dodgers starter Chan-Ho Park deep in the third inning of the teams’ April 23, 1999 matchup, nobody has followed suit. Understandably, the eight RBI he collected in the inning were also a record. Some baseball players go their entire careers without hitting a grand slam. Derek Jeter famously needed 6,542 plate appearances to hit his first. Just 13 players have hit two grand slams in one game, and none have pulled that trick since Josh Willingham in 2009. The Major League record for hits in an inning is three. Therefore, it’s extremely unlikely that a person will ever hit three home runs in an inning, much less three grand slams in a single frame. Even tying Tatis’ record would be an incredible accomplishment. It’s safe to say that Fernando Tatis will be listed in the big league record books for a long time to come. It’s really, really hard to throw a no-hitter. We saw that last week when Atlanta Bravesstarter Shelby Miller lost his bid with two outs in the ninth inning. In fact, there have been only 287 no-hitters in Major League Baseball history to date, and only once has a pitcher tossed back-to-back no-nos. In 1938, a left-handed pitcher for the Cincinnati Reds named Johnny Vander Meer did something no one had done before and has never done since: he threw no-hitters in consecutive starts. The first came on June 11 when Vander Meer and the Reds beat the Boston Bees (later named the Braves) 3-0. The southpaw walked three batters in the nine-inning complete game, but did not allow a runner past first base. On June 15, Vander Meer held the Dodgers hitless in a 6-0 victory in Brooklyn. Oddly enough, the 23-year old Vander Meer was in his first full big league season after appearing in 19 games the previous year. He went on to pitch 13 years in the Majors and compiled a 119-121 record and a 3.44 ERA, but never again tossed a no-hitter. Vander Meer is one of only five pitchers to even record two no-hitters in a single season, and was the first to do so. Allie Reynolds (1951), Virgil Trucks (1952), Nolan Ryan (1973), and Roy Halladay (2010) are the only to match him. Of course, none did it in back-to-back starts, and it’s very unlikely anyone ever will. That’s what Chicago Cubs fans have been saying for 106 years (and counting). Generations and generations of Cubs fans that have yet to see Chicago’s National League franchise win a World Series championship. The Cubs haven’t won a world title since 1908 – the second of back-to-back championships that marked the high point in the club’s history. When the Cubs last won the World Series, there were 46 states in the union. Not only were Alaska and Hawaii not part of the United States, Arizona and New Mexico weren’t yet admitted and Oklahoma was in its first full year as a member. Wrigley Field was four-years-old and the U.S. wouldn’t join World War I for nine more years. Prohibition began 12 years later and ended 13 years after that. Simply put, it’s impossible to believe that any other franchise will surpass the Cubs for the longest drought without winning the World Series. Of course the Cleveland Indians will need to win one within 11 years of the Cubs doing so to avoid taking the record. The Indians last won in 1920. The next longest streak belongs to the Texas Rangers, who began life as the (new) Washington Senators in 1961 – only 54 years ago. It’s interesting to think how the Major League Baseball record books would look had Ichiro Suzuki played his entire career in the United States instead of spending his first nine professional seasons in his native Japan. Through the first 39 games of the 2015 season, Ichiro has 2,873 hits in the Major Leagues across 15 years. That puts him second on the list of active players for hits in a career, behind only Alex Rodriguez, who has 2,971 career hits in 21 seasons. Add 1,278 hits from his time in Japan’s Nippon Professional Baseball, and he’s at 4,151 total – a mere 105 behind Pete Rose. However, we can’t rewrite history, and Ichiro will have to settle for a different big league record that will likely never be broken. In 2010, he became the first big league ballplayer to collect 200 or more hits in ten consecutive seasons, passing Willie Keeler’s previous record of eight that ran from 1894 to 1901 and adding one for good measure. Not only does Ichiro hold the record with ten consecutive seasons with 200-plus hits, he holds the American League record the for most 200-hit seasons in a career, having passed Ty Cobb’s nine. Ichiro has also tied the Major League record of total 200-hit seasons. Rose is the only other big leaguer ever to collect 200 or more hits in ten seasons. There have been great teams in Major League Baseball history, and there have been terrible ones. While the 2001 Seattle Mariners set the American League record and tied the 1906 Chicago Cubs for most wins in a big league season with 116, the 1899 Cleveland Spiders have held the record for most losses in a single season for 116 years. In an incredible display of futility, the Spiders were 20-134 in 1899 and obviously finished dead last among 12 National League teams. You’d expect more from the likes of outfielder Sport McAllister and pitchers Crazy Schmidt and Highball Wilson, but alas they were part of the worst team in MLB history – possibly because all the team’s best players were shipped out of town. “Think of the fire sale that led to the Florida Marlins’ collapse, and then imagine an uglier version. Picture the 1962 New York Mets, and then imagine a team half as successful. That’s the kind of sorry squad that closed out the 19th century. Among those that were sent to St. Louis was Cy Young – the legendary pitcher for whom the most valuable pitcher award in each league is named, and a man that will appear later on this list. If you want to look a high-profile example of the volatile career of a Major League closer, look no further than Eric Gagne. After parts of three seasons as a starter for the Los Angeles Dodgers Gagne moved to the bullpen, and specifically the closer’s role, in 2002. He was a smashing success and recorded 52 saves in 77 games while posting a 1.97 ERA and 114 strikeouts across 82.1 innings. The next season, the hard-throwing right-hander was even better. Gagne won the National League Cy Young Award in 2002 and finished sixth in MVP voting. He led the Majors with 55 saves (which tied the National League record) in 55 chances. He was the first pitcher to ever record multiple 50-save seasons. Gagne posted a miniscule 1.20 ERA, also in 77 games and 82.1 innings and struck out 137 batters that season. He allowed just 37 hits and 20 walks. An All-Star for the third consecutive season, Gagne posted a 2.19 ERA and 114 K’s with 45 saves in 2004, which made him the Dodgers’ franchise leader in saves. Unfortunately, Gagne only appeared in 13 games in 2005 due to injury and was lost for most of the 2006 season due to Tommy John Surgery. He was never the same, and saved just 16 games with the Rangers in 2007 and ten with the Brewers in 2008. By the age of 32, Eric Gagne was out of the Majors. Still, he posted a Major League record that will probably never be broken. Prior to his 55 consecutive saves in 2002, Gagne had a streak of eight straight opportunities without a blown save. In 2003, he began the season 21-for-21 in save opportunities to set the current Major League record for 84 consecutive saves. No one walked more than Barry Bonds, and no one probably ever will. With 2,558 free passes across 22 big league seasons, Bonds smashed Rickey Henderson’s previous career record of 2,190 bases on balls. Henderson walked more than anyone that came before him because he was a leadoff man that thrived on getting on base in order to steal bags and score runs. Bonds walked because he was patient and because he was feared. In 2004, Barry Bonds set a Major League record with 232 walks – 120 of which were intentional, and countless others that were unintentionally intentional. He broke his own previous big league record of 198 set in 2002, which broke the record of 177 he set in 2001 at the age of 36. There are some staggering numbers among Bonds’ career stats, specifically when it comes to intentional walks. Bonds was intentionally walked 688 times, which more than doubled No. 2 Hank Aaron’s career total of 293. There were ten seasons in which Bonds was intentionally walked 30 times or more. Albert Pujols is the only other player in the history of the game to have three such seasons. Crazy stuff. We’ll probably never see anything like it again. Simply put, there hasn’t been a pitcher like Nolan Ryan since the he retired in 1993. Sure, there have been innings-eaters, flamethrowers and ageless wonders to take the mound since – with Randy Johnson and Roger Clemens coming closest – but no one has been as un-hittable as Ryan at his best. Ryan’s record-breaking fifth no-hitter came as a member of the Houston Astros on September 26, 1981. He added two more with the Texas Rangers on June 11, 1990 and May 1, 1991. Comparatively, Larry Coleman, Bob Feller and Cy Young are the only other players in Major League history to hold an opponent hitless for a complete game three times. Despite holding the record for most no-hitters, Nolan Ryan never pitched a perfect game. Never known for pinpoint control, he walked at least two batters in each no-no. There will be more on that subject later. More than 100 years ago, teams reportedly attempted defensive shifts to limit Wilson’s triples ability. Prior to Wilson’s record-setting season, Dave Orr and Heinie Reitz shared the honor with 31 in 1886 and 1894, respectively. No other players have ever recorded more than 29 in a season. In fact, Wilson is only one of nine players to hit 24 or more triples in a season – the most recent being Adam Comorosky in 1930. The most recent challenger to that exclusive club – if not to Wilson’s record itself – was Curtis Granderson, whose 23 triples in 2007 were the most in over 20 years. As for Wilson himself, his triples record was the high point of a modest career. The left-handed-hitting outfielder played just nine seasons in the Major Leagues, led the National League with 107 RBI in 1911 and hit .300 in 1911 and 1912. He collected 1,246 hits – 114 of which were three-base hits – and last appeared in the big leagues with the St. Louis Cardinals in 1916 at the age of 32. Chief Wilson set the single-season mark for triples in a season, but no one in Major League Baseball history had more in a career than Sam Crawford. The Hall of Famer collected 309 three-baggers in 19 big league seasons from 1899 to 1917, which began with the Cincinnati Reds, but were mostly spent hitting cleanup behind Ty Cobb with the Detroit Tigers. Interestingly enough, Cobb ranks second on the all-time triples list with 295, and the teammates rank sit ahead of third place Honus Wagner’s 252. The active leader, Carl Crawford, has just 121. Standing an even six feet tall and weighing 190 pounds, Crawford was generally regarded as the strongest hitter of his day. “While we are no sculptor, we believe that if we were and were looking for a model for a statue of a slugger we would choose Sam Crawford for that role,” F.C. Lane of Baseball Magazine wrote in 1916. “Sam has tremendous shoulders and great strength. That strength is so placed in his frame and the weight so balanced that he can get it all behind the drive when he smites a baseball.” Yet Crawford was much more than a one-dimensional slugger. Playing in the era’s cavernous parks, Crawford had to leg out even the longest of his drives. In addition to his 309 career triples, the Nebraskan also holds the record for the most documented inside-the-park home runs in a single season, with 12 in 1901. Crawford averaged 20 triples per 162 games and surpassed the 20-triple mark five times in his career; he set a personal best with 26 in 1914. He also led the American League six times and all of Major League Baseball on five occasions. In 1879, Will White pitched in 76 games for the Cincinnati Reds. He started 75 of them, completed them all, and racked up a record 680 innings pitched. White is one of 13 pitchers in big league history to record more than 600 innings in a season, and none of those occurred after 1890. The record for innings in a season during the 20th Century was Ed Walsh in 1908, which ranks 105th in the record books. Jack Cresbo is the only other pitcher in the 20th Century to record more than 450 innings in a single season, when he amassed 454.2 in 1904. And it’s been 42 years since Wilbur Wood put together a marathon-like 376.2 frames in 1973. Walter Johnson, Mickey Lolich and Bob Feller are the only other pitchers to throw 369 innings or more in the last 100 years. In today’s game of five-man pitching staffs, pitch counts often capped around 100 pitches per start, and rampant Tommy John surgery, 200 innings is a hefty workload. Thirty-three pitchers hit the 200-inning mark in 2014, led by David Price’s 248.1. The last pitcher to throw more than 250 innings was Justin Verlander in 2011, and no one has hit even the 275-inning mark since Dave Stewart in 1988. It’s safe to say that as long as humans play baseball (and not robots, like in The Jetsons), White’s record will never, ever be broken. Like many of the Major League pitching records that will never be broken, Charles “Old Hoss” Radbourn (who also has arguably the greatest nickname in Major League history) set his mark in one of the game’s earliest eras. Radbourn won 59 contests for the Providence Grays in 1884, which is six more than any other pitcher has ever recorded in a single season. Of course, Radbourn had the benefit of appearing in 75 games that season, including 73 starts – all of which were complete games. He was 59-12 with a 1.38 ERA across 678.2 innings. Interestingly enough, he has been credited with saves in both relief appearances. Only Jack Cresbo (with 41 wins in 1904) and Ed Walsh (40 wins in 1908) have won 40 or more games in a season since the turn of the 20th Century. No one has won more than Walter Johnson’s 36 victories in 1913, and Grover Cleveland Alexander was the last man to notch 30 wins in a single year when he did it in 1917. The only person to even come close in the past quarter century was Bob Welch, who was 27-6 for the Oakland A’s in 1990. Simply put, players don’t throw complete games with regularity anymore. Things were a lot different in 1879 and 1904. As we discussed earlier, Will White pitched a record 680 innings in 1879, which included a record 75 complete games. His team played only 80 games that season. Pitchers were used slightly less in the early 20th Century, and Jack Chesbro set the modern record with 48 complete games in 1904. Pitching for the New York Highlanders (who eventually became the Yankees), Chesbro went 41-12 during 1904 in 55 games and 51 starts – he led the American League in wins, winning percentage, games and starts. In fact, Chesbro’s 41 wins are more than anyone recorded in a single season during the 20th Century. He also posted a 1.82 ERA across a league-best 454.2 innings and faced 1,720 batters, which was more than anyone else that season. Of course, White and Chesbro’s marks will never be broken because pitchers don’t even start as many games per season as they used to, much less finish them. Ten pitchers shared the Major League lead with 34 games started in 2015. No one has started 35 games in a season since Chris Carpenter and Dan Haren in 2010, and the last pitchers to top that were Roy Halladay and Greg Maddux, with 36 apiece in 2003. As for Halladay, he retired as the game’s active leader in career complete games with 67 (or eight fewer than White had in 1879 and only 19 more than Chesbro in 1904). And Halladay amassed his across 16 big league seasons. They named the most valuable pitcher award after him for a reason. Denton True “Cy” Young was one of the greatest pitchers of all-time, and holds several records that are now more than 100-years-old. In his career, Young won 511 games, lost 316 and completed 749 of them. He sits alone on top of the Major League Baseball all-time wins list – 94 ahead of the great Walter Johnson. The greatest pitcher of the last 20 years, Greg Maddux, finished his career with 355 wins, which ranked eighth all-time – 156 wins short of Cy Young’s mark. Tim Hudson leads all active players with 215 wins and Bartolo Colon, C.C. Sabathia and Mark Buehrle are the only active players with more than 200 career victories. On the flip side, Cy Young lost 316 games. Only 16 players in big league history have won that many. While Nolan Ryan came close (Ryan lost 292 career games before retiring in 1993), only Bert Blyleven has 250 losses or more among pitchers to take the mound in the last 25 years. The active leader is Mark Buehrle, who ranks 143rd in the record books with 155. And much more often than not, Cy Young finished what he started. With 749 complete games, he ranks 103 ahead of 19th Century hurler Pud Galvin on the all-time list, and 195 ahead of Tim Keefe. Because of the changes in the way the game is played – with five-man rotations and pitch counts designed to keep starters fresh – the active leader in complete games is Sabathia with 38. Recently retired Roy Halladay had 67. It’s safe to say that Cy Young’s career marks for wins, losses or complete games will never be challenged again. On a long enough timeline any record could conceivably be broken before baseball ceases to exist. However, the one – or rather the three – listed here will never, ever, be broken. Connie Mack began his managing career as a player/manager for the Pittsburgh Pirates at age 31 in 1894 and held the position until 1896 – the tail end of an 11-year big league career. Five years later, he took over the Philadelphia Athletics of the new American League. He held that position considerably longer. For 50 years, Mack was the manager, treasurer and a part owner of the A’s. He retired in 1950 at the age of 88. During his time in Philadelphia, Mack managed a record 7,755 games, won 3,731 of them and lost 3,948. None of those three marks is likely to ever be challenged, let alone broken. In fact, John McGraw – one of Mack’s contemporaries in the early 20th Century – won the second most games all-time, 2,763, and lost 1,948. That’s nearly 1,000 fewer wins and exactly 2,000 fewer losses. Numbers three through five on the all-time wins list include Tony LaRussa, who was 2,728-2,365, Bobby Cox (2,504-2,001) and Joe Torre (2,326-1,997). All are in the Hall of Fame and none came close to any of Mack’s career numbers. Job security isn’t what it used to be, and we’ll never see another manager at his post for 50 seasons. And because of that, we’ll never witness a manager win more or lose more than Connie Mack.